This product was added to our database on Wednesday 9 April 2014. 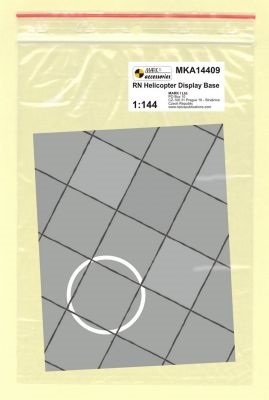 A single 1:144 scale sheet depicting an actual military aircraft base or helicopter landing zone, and the terrain surroundings. Dimensions: length 4.53in/115mm, width 3.54in/90mm.